Done with watercolors and marker. 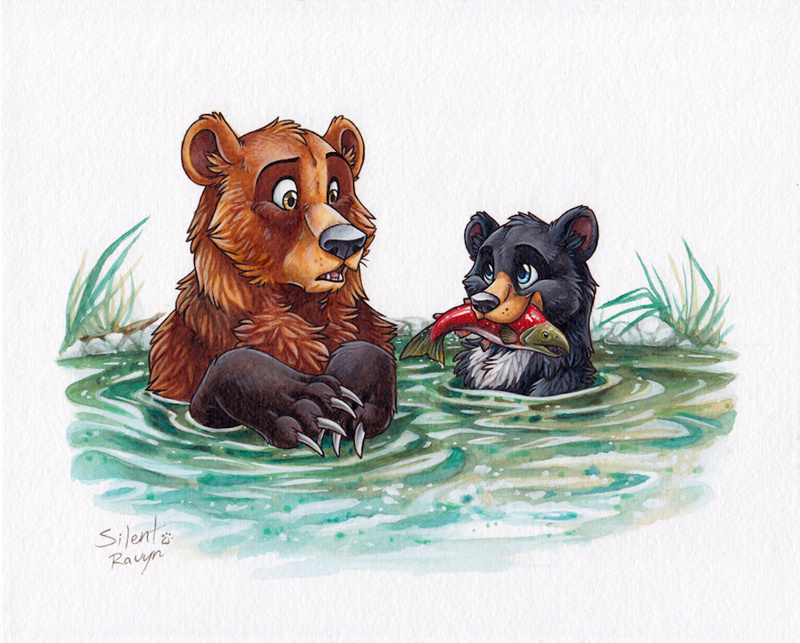 There needed to be more bears in my gallery! Darn cocky kids. He is awfully cute, though, and the startled look on the older bear's face is just priceless. The art is simply amazing. Your detail on the fur texture and the ripples in the water around them are beautifully done and your coloring work is just gorgeous! Amazing work! Great, thanks! The picture inspired me! So anyone else see the image and have Disney's 'Brother Bear' come to mind? Me. And I've never seen the movie even once. Beginner's luck - some have attributed it to demons who manipulate the dice so you win at the start, and then they just desert you,once you are addicted to gambling, leaving you to lose & lose through stubborn raw chance. I have learned from the mistakes of others and never gave gambling the chance to ruin me.